Sailing 29th November 2016, this 23-day Caribbean and South America voyage on board Oceania Cruises’ Regatta, sails roundtrip Miami via the Amazon River, and visits Gustavia, Castries, Scarborough, Santarem, Boca Da Valeria, Manaus, Parintins, Devil’s Island, St. George’s, Bridgetown, Roseau and Tortola. A veranda stateroom is priced from £4,359pp (was £9,329pp) with a saving of £4,970pp and includes return flights from London, all on board meals, free internet, $1000 free shipboard credit (per stateroom), a free beverage package (per person), 10 free shore excursions (per stateroom) and free gratuities. 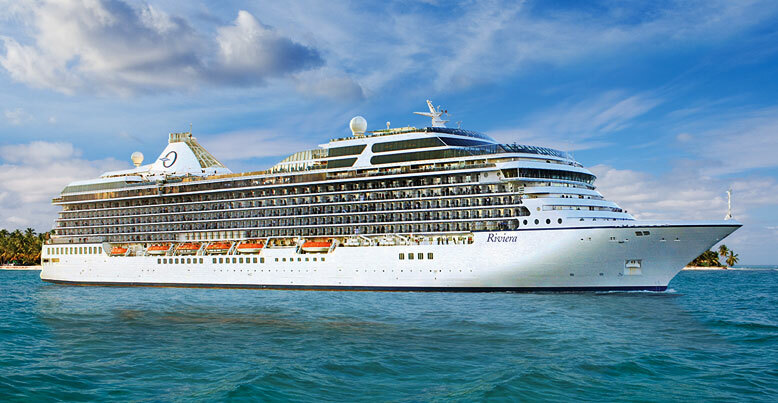 Sailing 11th December 2016, this 10-day Mexican Riviera cruise on board Oceania Cruises’ Sirena, sails roundtrip Los Angeles and visits Catalina Island, Ensenada, Cabo San Lucas, La Paz, Mazatlan and Puerto Vallarta. An inside stateroom is priced from £1,768pp (was £3,759pp) with a saving of £1,991pp and includes return flights from London, all on board meals, free internet and a choice of either $600 free shipboard credit (per stateroom), a free beverage package (per person) or six free shore excursions (per stateroom). Sailing 22nd December 2016, this 12-day Caribbean cruise on board Oceania Cruises’ Riviera, sails roundtrip Miami and visits Nassau, St. John’s, Fort de France, Bridgetown, St. George’s, Castries and Philipsburg. An ocean view stateroom is priced from £2,884pp (was £6,369pp) with a saving of £3,485pp and includes return flights from London, all on board meals, free internet and a choice of either $600 free shipboard credit (per stateroom), a free beverage package (per person) or six free shore excursions (per stateroom). Sailing 6th January 2017, this 22-day cruise on board Oceania Cruises’ Insignia, sails from Miami to Honolulu, via a daylight transit of the Panama Canal, and visits George Town, Cartagena, Golfito, Puntarenas, Corinto, Puerto Quetzal, Acapulco, Cabo San Lucas, San Diego and Hilo. A deluxe ocean view stateroom is priced from £3,982pp (was £8,509pp) with a saving of £4,527pp and includes return flights from London, all on board meals, free internet and a choice of either $800 free shipboard credit (per stateroom), a free beverage package (per person) or eight free shore excursions (per stateroom). Sailing 24th May 2017, this 7-day Alaska cruise on board Oceania Cruises’ Regatta, sails from Seattle to Vancouver, via the Outside Passage and Inside Passage, and visits Wrangell, Juneau, Sitka and Ketchikan. An inside stateroom is priced from £1,668pp (was £2,869pp) with a saving of £1,201pp and includes return flights from London, all on board meals, free internet and a choice of either $400 free shipboard credit (per stateroom), a free beverage package (per person) or four free shore excursions (per stateroom).